Good afternoon. My grandfather told me a rumor about an old Huber that my great great grandfather sold to a neighbor nearby and we recently went on a hunt for it and found it! The gentleman that owns it said he would be willing to sell it. However, the wheels are completely rusted away on the bottom and the spokes are beginning to rust away also. The brass carberauour seems to be intact, and so do some other parts such as the magneto, the small drive gears for the back wheels, and possibly the radiator. I’m assuming I’d be able to get it for around 300 but I am clueless as to whether that’s reasonable or not. I will include some pictures. 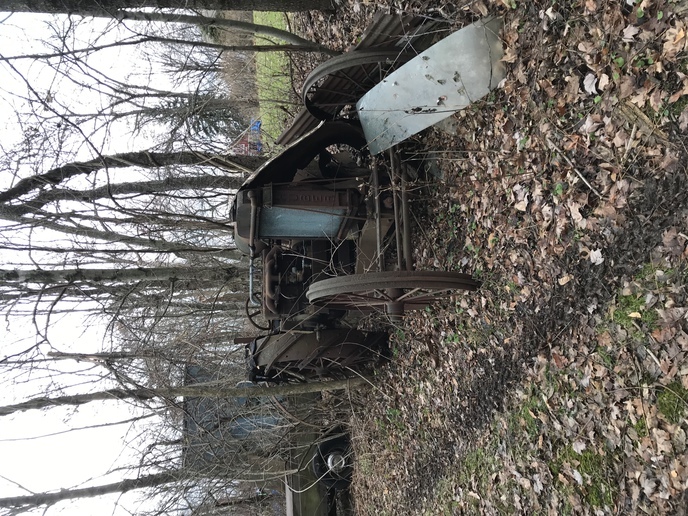 Any ideas about what year this tractor is? 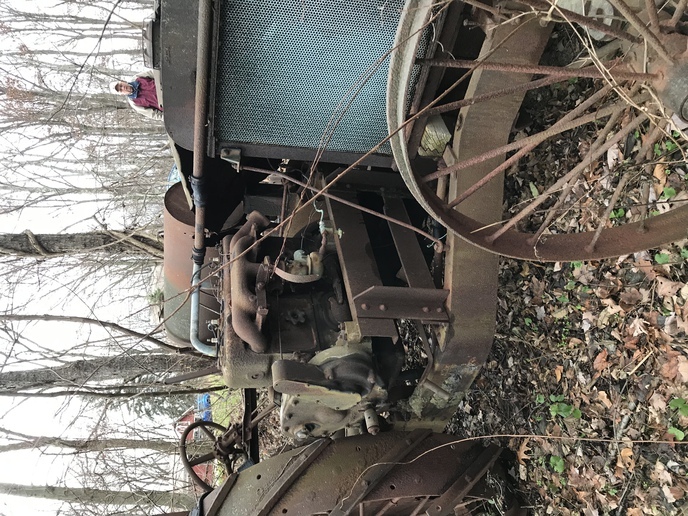 And is it worth 300$ as a parts tractor and a future yard ornament? Thanks for the help fellas. that is worth one heck of a lot more than 300 dollars, at first I thought u left off one 0. the wheels alone are worth more than that. I cannot tell you about the Huber, but another brand similar age similar condition brought $1200.00 at a sale. It was several years ago. Good luck with it.